I received a copy of this book from the publisher through Library Thing’s Early Reviewers in exchange for an honest review. 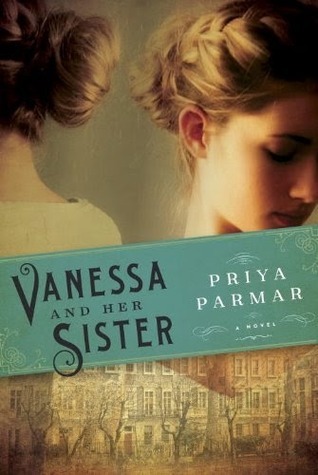 I always love when I get books through Library Thing, and was excited to receive a copy of Vanessa And Her Sister by author Priya Parmar. This is an epistolary novel told through the diary and letters of Vanessa Stephen Bell. Bell tells us the story of herself and her sister, Virginia Woolf, and there famous friends, the Bloomsbury Group. I loved the story, especially the artists and friend who came into the lives of the Stephen family. When history is interwoven into a well written piece of fiction, it creates a peephole into what might have happened in the past. Some names were very familiar, some not. I was most surprised by the portrayal of Virginia Woolf. I didn’t not know very much about the famous author, though I did know she had some mental problems. Parmar writes of a very disturbed Woolf, one that had trouble maintaining sanity for long stretches and is overly attached not her sister. I was surprised by this portrayal, but left wanting to know even more about Woolf. This is a very well written novel and I would definitely recommend reading it! Educated at Mount Holyoke College, the University of Oxford and the University of Edinburgh, Priya Parmar is the author of one previous novel, Exit the Actress. Her new novel, VANESSA AND HER SISTER will be published by Ballantine/Random House on 12/30/14. She divides her time between Hawaii and London. 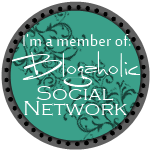 ← A Real Book Club??? This is next on my TBR… I didn’t realize it was epistolary and that makes me more excited to read it! I am about to start reading this for review as well and am really looking forward to it. Your review has made me more excited. I love Virginia Woolf and want to know more about this take on her. I didn’t know all that much about her. I think it gives you a different perspective. I want to read this book….it sounds wonderful. Thanks for a great review. Nice blog.